Thomas Bennett was the first conscientious objector to receive the Medal of Honor. He refused to carry a weapon but served in the army as a medic, and was killed by gunfire while rescuing a wounded soldier. Growing up in Morgantown, Bennett had been active in the Boy Scouts and the Southern Baptist Church. 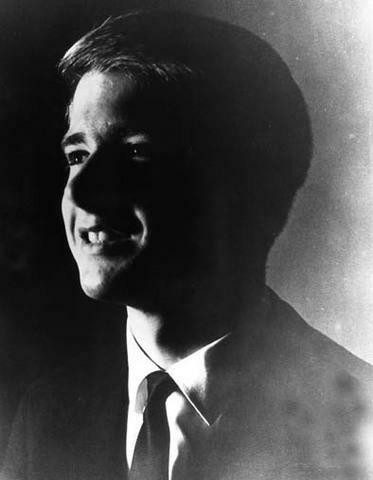 While attending West Virginia University, he became a vocal opponent of the U.S. war in Vietnam. However, when his draft notice arrived, Bennett chose to serve his country, believing it was wrong to evade the draft while others had to fight. Although he enlisted as a noncombatant medic, he consistently found himself in the line of fire. During one intense firefight, Bennett repeatedly rushed into the thick of action to help wounded soldiers. He was mortally wounded while dragging an injured soldier to safety. The following year, President Richard Nixon presented the Medal of Honor to Bennett’s mother and stepfather. Bennett was only the second conscientious objector to earn the medal in the nation’s history and the only recipient during the Vietnam War. At WVU, the Bennett Tower residence hall is named in his memory.